Pre-Registration: Pre-register by mail. Entries should be postmarked by October 1. In person at McCoy Outdoor, R Run-N-Tri, or Fleet Feet in Mobile or Running Wild in Fairhope until noon on October 6. Online / Late Registration: Online Registration 4 AM on October 7. 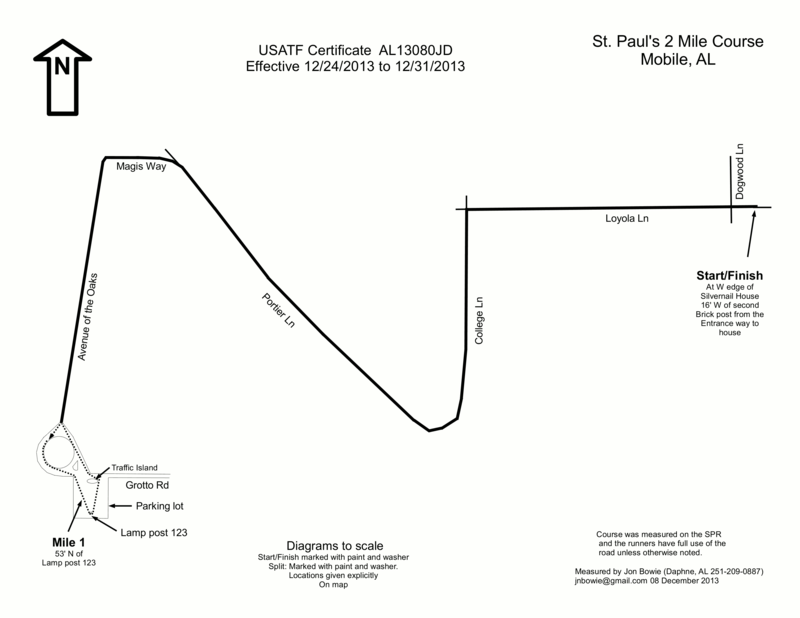 Packet pick-up and race day registration at St. Paul`s Saint`s Square from 8:00 - 8:45AM. Post-Race: Located at Saint`s Square, party will include kids activities, awards ceremony, and light refreshments for participants.